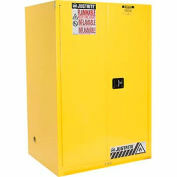 Keep Flammable Liquids close to the work area in a safe and organized way while limiting employee exposure with Securall® Safety Storage Cabinet. 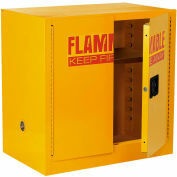 Cabinets are designed to meet safety requirements for the handling of Flammable Liquids. 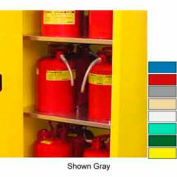 The interior and exterior finish consists of an aliphatic polyurethane finish. 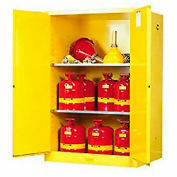 This polyurethane coating has chemical properties to withstand salt spray, chemical rub, fading due to UV exposure, and other tests performed to epoxy paints. 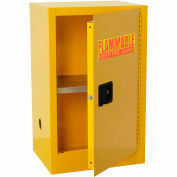 Urethane is more durable under conditions when moving items in and out of the cabinet as it resists chipping and peeling. 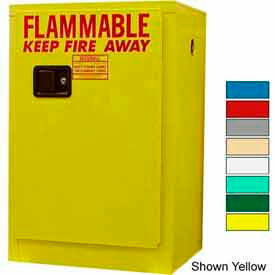 All cabinets are FM approved and comply with current OSHA regulations and are designed in accordance with the standards of NFPA Code 30. 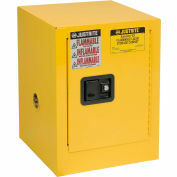 3-point self latching (Non Sparking) doors.